Wondering how to pay for an engagement ring? Here are some ideas and tips for buying a ring without being overwhelmed by debt. There are lots of better options available for people who, like me, want to express their love with a dazzling ring, but simply don't have the cash to afford one. 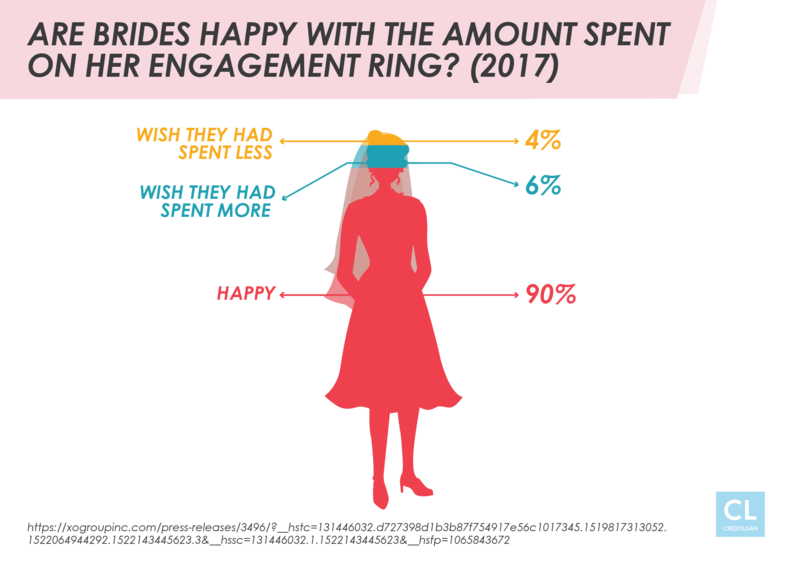 Purchasing a ring is one of the first big expenses you'll have to contend with on your way toward marital bliss. It's important to get it right so your other big plans for the future aren't compromised. Getting it right isn't just about making sure it's white gold with glistening diamonds. Buying an engagement ring is a key milestone in your life. You wouldn't want to jeopardize your financial future as a couple by making bad decisions as you get started. After all, the ring is just the beginning. You've got a whole wedding to plan and pay for next! When considering how to pay for the perfect ring, you can choose which strategy is best for you based on your financial standing and your plans for the future. Then, like the Beyoncé song goes, you can "put a ring on it!" Fortunately, the expectation that men should spend two months' salary on an engagement ring doesn't apply anymore. Till debt do us part. Many couples are uncomfortable with starting their married life by going into debt. For them, making sacrifices and saving up enough to buy a ring with cash makes sense. It's hard to put engagement on hold. The problem is, most young couples don't want to wait months or years to pop the question. Many already have to endure a prolonged engagement period while they plan and save up for their dream wedding. It's also much harder to be romantic and spontaneous when you have to wait to save up for a ring. Determine what you can afford. To make sure you're spending the right amount on your ring when you buy it with cash, take an inventory of your finances. Then, add up your expenses, including rent, food, bills, and any student loan or car payments. Assuming your income is more than your expenses (hopefully! ), do the math and determine your savings potential. Also, identify future goals and expenses like your wedding and buying your first home. With weddings today costing an average of more than $26,000 and the global wedding industry pulling in an estimated $300 billion a year—we're definitely talking about some serious money! With these dizzying costs in mind, a lower-priced engagement ring makes sense. You want to make sure you're not jeopardizing your life plans by spending too much on a ring. Welcome to your new "married couple" normal. By the way, get used to keeping close tabs on your income and expenses. Managing your finances after marriage becomes an never-ending challenge once you put a wedding band on your finger. What would you sacrifice to get engaged? Ask yourself if there are any costs you could cut to save money faster. Brown-bagging lunch or cutting down on dining out could get you to your savings goal (and down on one knee!) more quickly. Once you know your savings potential, start looking around for a ring you can afford with your budget. Buy a ring online to save huge. Here's a great tip if you're considering buying a ring, especially with your hard-earned cash savings. 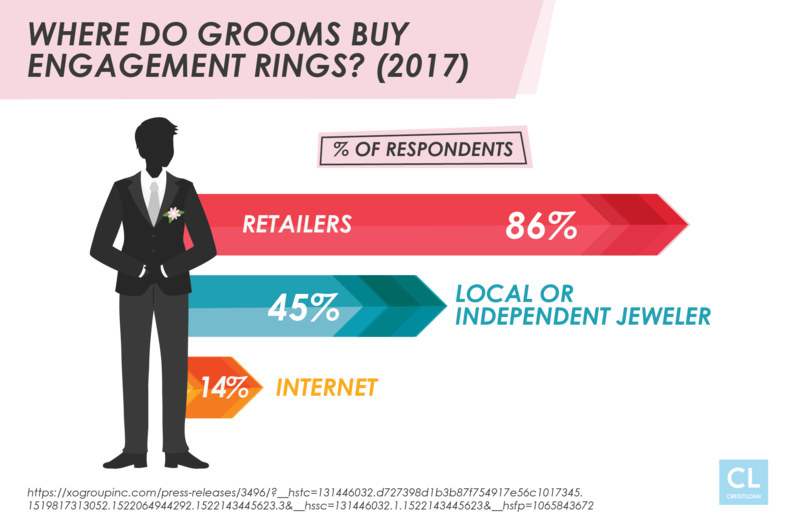 Online jewelers will often sell diamond engagement rings at much reduced prices compared to those from a jewelry store. That price difference could mean the time it takes you to save up the money you need to buy an engagement ring gets cut in half. How about upgrading to white gold? Or you could buy a ring twice as nice as you'd get at the jewelry store for the same budget! Hit up a relative. If you're short on cash to pay for an engagement ring you could ask a relative to help you out with a no-interest loan. Lots of parents would do almost anything to help their son or daughter get married—it's one step closer to having grandkids! Best wedding gift ever. Or you could ask your favorite uncle if he could loan you the cash you need to buy the ring as a kind of wedding gift. One good way to save for the perfect ring is to get a jewelry store layaway plan. Pay a little at a time. Once you pick the ring you pay 20–30% as a down payment, then pay the rest off in small payments whenever you have some extra money. You get the ring when you have paid in full. Although you may have to pay a fee to sign up for a layaway plan, there's no interest charged while you pay off the full amount. Good choice for bad credit. If your credit score is too low to qualify for credit cards or loans, the layaway plan is a good option. Don't miss out on a bargain. As another advantage, if the ring is on sale or discounted, you can seize the opportunity and lock in a great price. Jewelry stores almost always have a credit department. In-store financing is a common method for buying an engagement ring. Store credit cards are available. Sometimes, the credit a jewelry store offers is in the form of a branded store credit card. The card will usually come with a zero-interest introductory period, often lasting 12 months. Loans are offered at 0% interest … at first. Similarly, if the store offers financing in the form of a loan, there is normally a period of 6 or 12 months where no interest is charged. 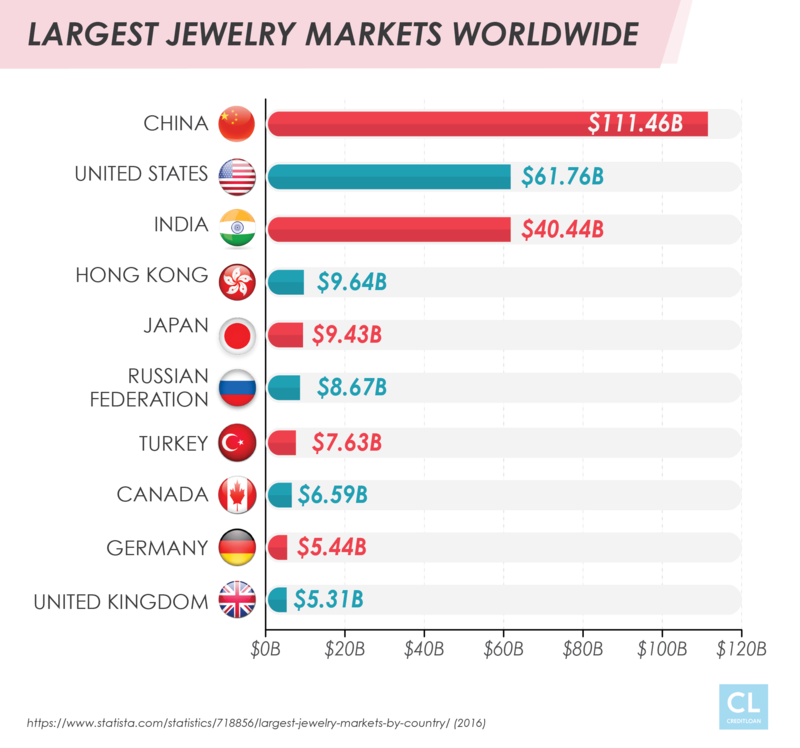 People need to be extremely careful, though, as jewelry stores are notorious for hitting customers hard once the zero-interest period expires. Be aware of the interest rate after the promo period. You might be confident you can pay off the financing in full within the promo period—but unexpected things can happen along the way. Make sure you're aware of the APR charged once the intro 0% period is over. It's probably going to be a lot higher than a credit card or personal loan APR. Get ready for sticker shock. Something called "deferred interest" is often charged if full payment is not made during the interest-free period. Deferred interest means you have to pay interest on the full amount dating back to the purchase date. Let's say, for example, you bought a $2,000 ring at 0% deferred interest for a 12-month promotional period. If you still have $100 unpaid after the 12 months is up, you pay interest on the full $2,000 original amount. With a post-intro-offer interest rate of 20%, you'll get a bill for $400—so read the fine print and know your wallet! Miss a payment at your peril. It's also important to read the fine print when it comes to missing a payment. If you miss or are late on a payment during the 0% APR intro period for jewelry store financing, the full APR, or a penalty APR, often kicks in automatically. For many people shopping for an engagement ring, I recommend finding a personal loan with fixed monthly payments and a low APR. Although you won't get interest-free financing with a personal loan, you can pay it back over a longer term than the typical jewelry store promo period. For example, personal loans with terms of 3-5 years are normal. You won't feel pressured to pay off the full amount of the debt during the first 12 months or get dinged with a super-high interest charge when you don't. Reasonable APRs for personal loans. Compared to the high APRs charged by credit cards and in-store financing, the interest rates for personal loans are very reasonable. For people with healthy credit scores, a personal loan APR under 10% is not uncommon. Credit cards with single-digit regular APRs are definitely uncommon. No risk of increased rates. The advantage of a personal loan is you know what you're getting into. Easy to budget payments. Fixed monthly payments are consistent, predictable, and straightforward. Let's use the example of the $2,000 engagement ring again to illustrate how a personal loan would work. With good credit, you can qualify for a 48-month loan term at 8% APR. Based on an easy monthly payment of $49.77, after four years the total interest paid will be $388.96, bringing the total you paid for the ring to $2,388.96. Painless and worth paying a little more. Doesn't coming up with less than $50 a month over 48 months sound easier than forking over $2,000 up front? Spending less than $400 in extra interest over time for the opportunity to buy your dream ring right now seems like a small price to pay. This scenario also sounds a lot better than stressing out trying to pay back the $2,000 in full during the 12-month 0% interest period. Or, for that matter, having to pay $400 in interest anyway when you miss the deadline. The APR will depend on your credit score. Keep in mind, when you apply for a personal loan to buy an engagement ring, your credit score will have an impact on the interest rate you're charged. The better your credit, the lower your personal loan APR will be. The last options for financing your engagement ring both involve using a credit card. I think one approach to using a credit card for this major purchase is good and one is bad. Don't do what I did. Ironically, the bad option is the one I took when I bought my wife's engagement ring. I just used my regular credit card and paid interest for months at the regular APR. The current national average for all credit card APRs is 16.82%. If I paid $2,000 for my wife's ring today and was charged the average credit card APR, I'd be paying an extra $954.51 in interest if I made $50 monthly payments. It would also take me five years to pay off! Even if I doubled my monthly payment to $100 it would still take two years to pay off and I'd be charged $363.54 in interest. Find a new credit card with a 0% introductory APR offer. A much better approach to using a credit card for buying an engagement ring is to get a brand new card. Many new credit card offers include a 12-, 15-, or even 21-month introductory period where no interest is charged. Let's say you bought the $2,000 ring with a brand-new card offering a 15-month 0% APR intro period. You could pay the full amount off with no interest just by paying $133.33 a month. Take advantage of bonus rewards offers. Another feature to look for when you're choosing a new credit card to buy an engagement ring with is the sign-up bonus. Get a head start on paying for your honeymoon. Travel rewards credit cards regularly offer sign-up bonuses of 40,000–60,000 points for signing up. 50,000 reward points are worth $500–$750 (depending on the program) when used for travel purchases. A cash back bonus can help pay for the ring. Credit cards that let you earn cash back for purchases also offer sign-up bonus deals. Bonuses of $150-$200 can be claimed when you sign up for a new cash back card. If you put $200 towards the $2,000 ring it would end up only costing $1,800. You could pay it off in 15 months at monthly payments of just $120. Fortunately, you're already making a big purchase on the card. It's a good thing you're opening the new card to buy an expensive engagement ring. For all of the sign-up bonuses available (whether travel rewards or cash back) there is a requirement to spend a certain amount within a certain time. Some cards require you to spend $500 in the first three months to claim your bonus. Others require you to spend as much as $5,000 in the first three months to get it. You'll get a good start on earning. In addition to the bonus points or cash back, you'll be earning on the initial big-ticket purchase, which is a fantastic start. Take one of these options for financing your engagement ring and pick the one that works best for you, your financial situation, and your plans for the future. Now that you understand the pros and cons of each available option, you're ready to make an informed decision on this extremely important purchase. You want to start your marriage off on the right foot. Worrying about how you're going to pay for the engagement ring should not be something you do on your honeymoon! In a lot of ways, the engagement ring illustrates two important things about your relationship. Of course, it is a symbol of the sparkling, indestructible love between you and your life partner. But how you buy the ring is also a reflection of how you manage your finances when it's time to cover a significant cost. You can make a great impression on both of these qualities by choosing the right ring, at the right price, and with the best-suited financing. How did you finance your engagement ring back when you got engaged? Did you actually save up and pay with cash? Or did you use any of these methods? Feel free to share and let us know in the comments below!